Small openings, large bottle volume and large parts of the gripper surface uncovered, aerosol cans are challenging for vacuum grippers. The gripper needs to be properly designed to not require an expensive power source, and high quality is crucial as every valve and suction hole needs to function fully to not cause malfunction of the entire gripper. A UniGripper is always the right choice for this task, which our track record of successful aerosol can installations witnesses. 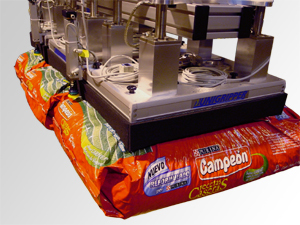 Depalletizing bags without damaging them requires gentle means for gripping the bag. 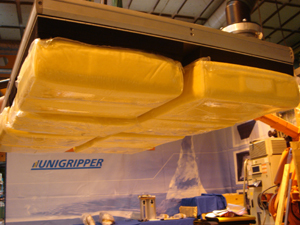 UniGripper'ss BagGripper is the versatile baggripping solution that works equally well for palletizing or depalletizing bags while making sure that the bag is not damaged. 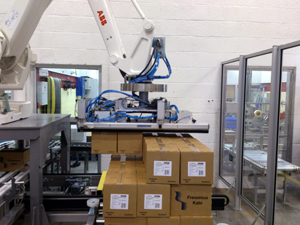 Bottles that are not packed in boxes or shrink wrap cannot be handled by conventional vacuum gripper techniques. 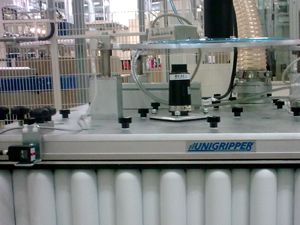 The UniGripper BottleGripper, however, provides a solution with extremely low maintenance costs and a way to use the same basic gripping tool and power source for handling bottles of different sizes with very fast reconfigurations. Boxes may be fully closed or partly open and come in cardboard of different qualities. We know how to adjust the UniGripper and the vacuum source to handle also low quality boxes. Our MultiZone solutions also helps picking multiple boxes at one location and dropping them off in separate locations. Bricks and stones, also dirty and dusty, can be handled by UniGripper. 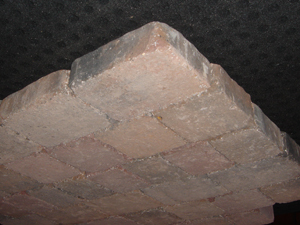 Flexibility in terms of brick size and brick orientation is a clarity when using a UniGripper. Buckets come from small to large, empty to full and light to heavy. 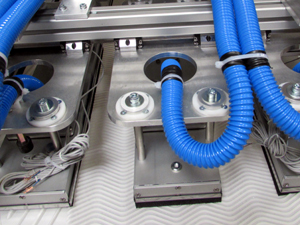 Vacuum grippers can handle all kinds but may require different designs. Heavy buckets can provide an additional problem if the lid might not hold the rest of the bucket, we know of this challenge and know how to solve it..
Metal cans, full or empty, with or without pull tabs can all be handled with a UniGripper, all with one tool, if needed. 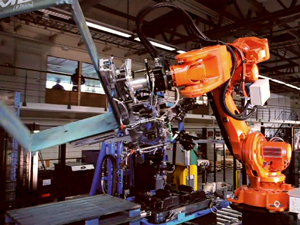 Coils, either in metal, paper or plastics can be lifted by UniGripper. 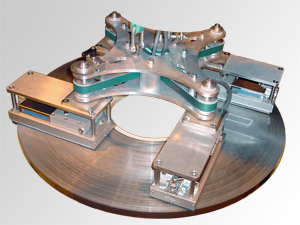 Our circular CoilGripper can handle coils with spectacular weights, and the support of multi-zoned CoilGrippers enables broad ranges of coil diameters to be handled by a single UniGripper. Foils of plastic and paper can be lifted with vacuum. 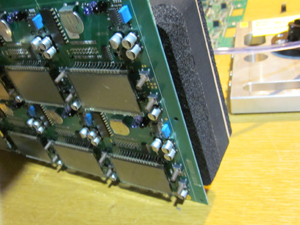 Careful design of the vacuum source and vacuum distribution is required to not damage the foils, clearly a task for UniGripper. Food without wrapping can be handled with vacuum! 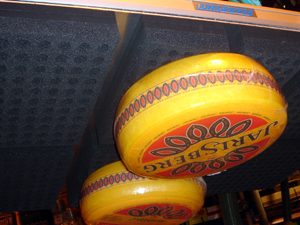 The UniGripper can be equipped with suction foam approved for direct contact with food and then be used for many types of food, e.g cheese or frozen products. 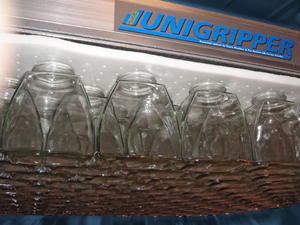 Furniture pieces, raw material or package boxes can all be handled by the UniGripper. As for other wood handling, the pieces can be dusty, a good thing then that also the UniGripper SMS series is equipped with a filter casette, for quick and easy removal of dust from the gripper. 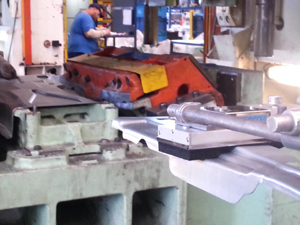 Metal, from light and thin foils to heavy pieces of iron can be handled by the UniGripper. Also greasy and oily metals are possible to handle. Pallet handling is a natural part of many UniGrippers. It is often recommended to lift the pallets with a mechanical add-on in order to not contaminate the suction foam that is in contact with the product on the pallet. 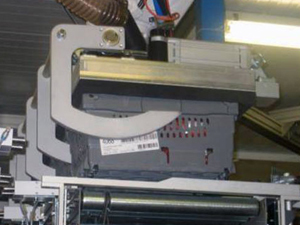 In connection to pallet handling, a UniGripper specialized solution can also help in automating folding and placing pallet collars on pallets. Paper cans in all shapes and sizes can be handled without problem. 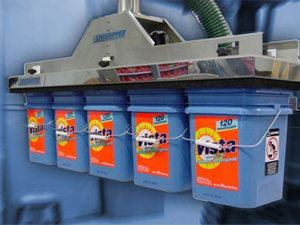 Plastic bottles often present a challenge for vacuum grippers as the bottles can implode already at relatively modest vacuum levels. 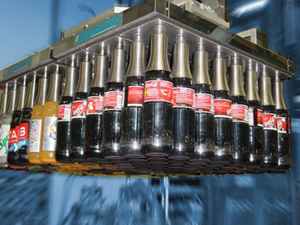 Also in these cases there is a UniGripper for the task, utilizing a low vacuum to lift the bottles. Timber handling presents a number of challenges for the vacuum gripper: it is a heavy duty environment, often full of dust and debris. Timbers also come in many different sizes, which requires an intelligent vacuum system to get the flexibility to handle all sizes without costly reconfigurations. 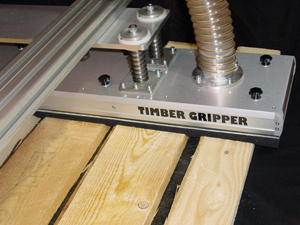 UniGripper's TimberGripper is the optimal choice for handling timber and planks, having extra robustness built into the design and providing features for extra serviceability. 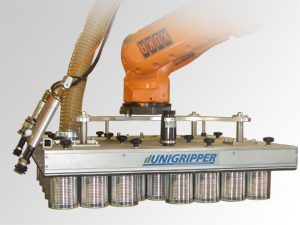 UniGripper SMS is also a valid choice in many scenarios and compared to other standard grippers it is more durable due to its aluminum design and the filter cassette that enables protection against dust and resin. 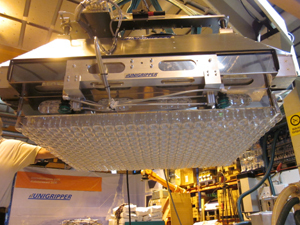 Trays, for example SRS trays, are to be filled or emptied as part of some production processes. 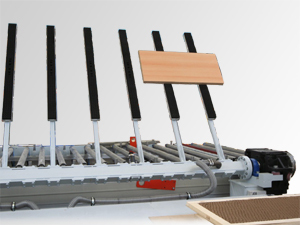 The UniGripper can be equipped with accessories to handle the trays, with the same tool that handles the content of the trays.